But one thing is set to change in 2017 when hundreds of buses will become greener than ever, thanks to an anti-pollution drive by mayor Sadiq Khan. Khan on Friday announced 10 new Low Emission Bus Zones to tackle toxic air pollution in Britain's capital city. The biggest ever "green bus" program will cut harmful bus emissions across a number of key routes in London by 84 percent. It will also protect thousands of school children at 172 schools along the bus routes from being exposed to dangerous pollution. The scheme will see all-electric or hybrid electric buses, or ultra low emission vehicles on the routes. Khan announced plans 10 more Low Emission Bus Zones to be added to the two already in operation, bringing the greenest buses to the capital's most polluted routes to cut harmful nitrogen oxide (NOx) emissions. A spokesman for Khan's office at city hall said: "The buses are part of the mayor's hard-hitting measures to tackle London's filthy air, responsible for the premature deaths of more than 9,000 Londoners every year." The mayor has targeted air quality hotspots where people are exposed to some of the highest levels of nitrogen dioxide (NO2) pollution and where older buses contribute significantly to road transport emissions. 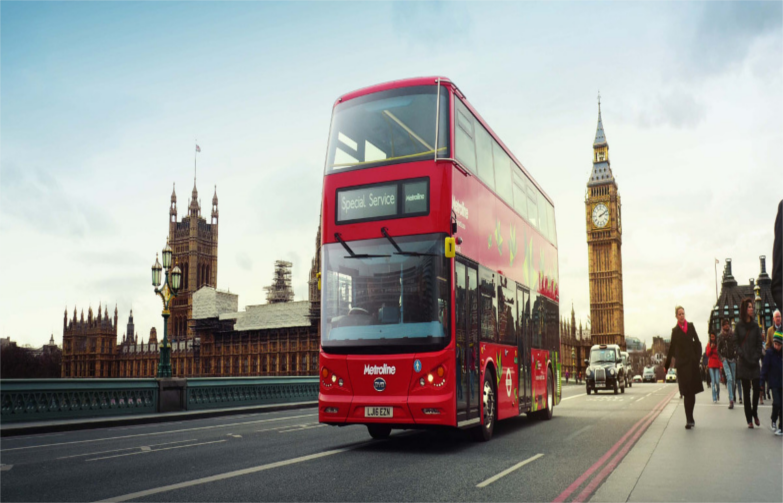 The new greener buses, which will be a combination of hybrid and clean buses that meet European standards, are part of an improvement program to 3,000 buses outside central London. The zones are expected to reduce NOx emissions from buses along the routes by around 84 percent and will fulfill the Mayor's manifesto commitment to introduce Low Emission Bus Zones by 2020. "Tackling London's filthy air is one of my main priorities and I am delighted to be delivering on that commitment by introducing these new Low Emission Bus Zones," Khan said. Removing the oldest, dirtiest buses from London streets and delivering Low Emission Bus Zones will make a big contribution to tackling transport pollution, he said.